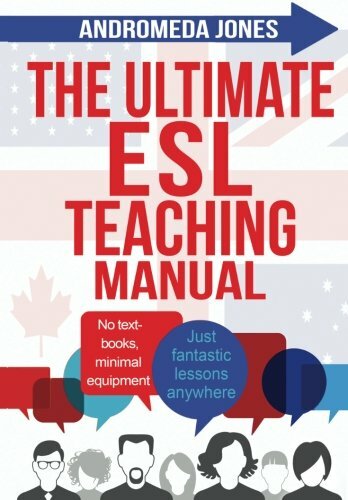 Do you want to have a bit of fun in your ESL/EFL classes while helping your students remember new vocabulary words? 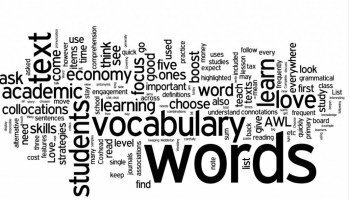 Then you’ll need to check out these vocabulary memory games. Keep on reading for out top picks! If you’re looking for some ways to help your students improve not only their language skills, but their concentration skills as well, then you’ll need to use some of these ESL matching games. They’re challenging but fun and make an excellent way for your students to improve their English vocabulary. Matching games are not just for kids, but adults as well! Help your adults students have fun while learning some new English vocabulary with these top five memory games for adults. Let’s start getting those cognitive juices flowing! This memory game makes an excellent test of memory skills as you place cards with words and definitions or pictures face down on the desk in an organized fashion. The students try to find a match by choosing one card, then the corresponding one. If they’re incorrect, they place the cards down in the same spot so the next student can use that information to make a better guess. If correct, they take the match and have another turn. For beginners, you can use just a word and picture. Some topics that work particularly well include animals, toys, jobs, sports, clothes, school life, numbers, holidays (Christmas or Halloween vocabulary for example) or weather. Action verbs also work well. For example: Cat-picture of cat. Or, 10-ten. It really is an excellent way to help your students learn these basic things. And playing this ESL game is fun at the same time. Quick tip: You can often use flash cards for this kind of memory game if the textbook you’re using has a pack of them you can buy. Absolute beginners can also use it with the first letter of a word and a picture. For example C-Cat. This is a fun way to help students with their new ESL vocabulary. For intermediate or advanced students, you may want to use word and a simple definition. For example, Geologist-this person studies rocks and other materials in the ground. Finally, you may want to do opposites, or synonyms as well. I’ve also used this game with problem and advice. For example: I’m so tired all the time-Maybe you could try going to bed earlier. You can learn more about this concentration game for adults, as well as kids here. It’s actually ideal for all grades, including kindergarten, and adults. This is another English vocabulary game that also helps your students with correct word order in sentences, or parts of speech. You write something on the board, and then it gradually disappears and gets progressively more challenging. 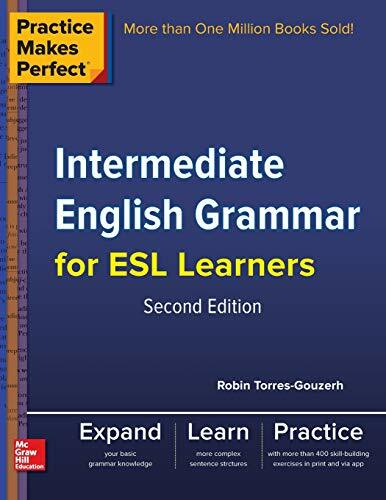 It’s excellent for kids but could be played with beginner-level adults as well who are struggling with basic sentences. Students really have to pay attention to what’s happening. Keep this one in your back pocket for a quick warm-up at the beginning of a class as a way to review previous material. You can also use it as a useful time-filler at the end in those few minutes before class ends. Of course, it’s most relevant if you review something you’ve just studied. Dictogloss is an excellent ESL memory activity for higher-level students that has them recreate a story either by writing or speaking. It challenges them to get the gist, or big picture instead of focusing on every single small detail. Your students have to be comfortable with listening, as well as basic writing in order to play this so don’t try it with absolute beginners. They also need to have a basic English vocabulary. For best results, you’ll need to use very clear pronunciation. Also be sure to choose a simple story, sentence or paragraph for the first time you do this. 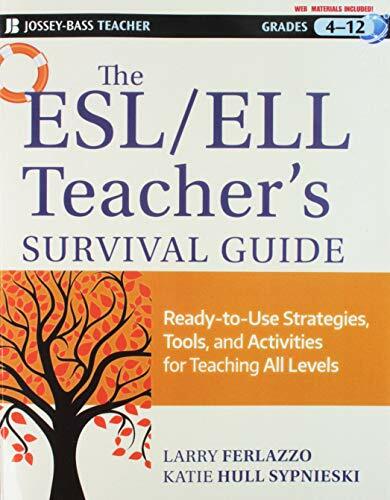 This ESL game for adults or kids is a multi-skill activity that can be done alone, in pairs, or in small groups. 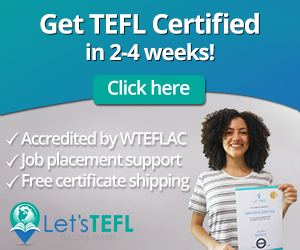 It’s super versatile-try it out for yourself and you’ll probably find yourself coming back to it often as one of your go-to activities for your English classes. Check out one of my favourite vocabulary ESL games here. My students love to play it! This makes a fun first day of class icebreaker if you have a small number of students, or you can use it as a thematic vocabulary review. It’s actually an extremely flexible activity that can fit into just about any lesson. For example, something that works particularly well is using it to review irregular verbs. The only downside is that it’s not for bigger classes as it’s gets boring and too difficult. However, you can, of course, divide your students up into groups of 7-10 and play it this way. Elementary school students really like this one! If you want to energize your class, this is the activity you need! Seriously, look no further. Monday morning at 8am getting you and your class down. Try out running dictation to get a bit of life and energy back into your class. Or maybe you have a case of the Friday afternoon blues. Throw in this activity for some great results. It’s a 4-skills activity that is simply one of the best things you can do in your class. The basic way that it works is that one person goes around the class, reading sentences on little pieces of paper. They go back to their partner who is sitting down and dictate it to them. Then, to add another layer of challenge, the team has to make a dialogue or story out of their sentences. Tip: You may want to specify whether or not correct spelling is required or not. This is often some conflict at the end if you don’t. How many people did you see in the video? What color was the first car that you saw? How many people were in the photo? What color of shirt was the woman wearing? How many kinds of fruit were in the picture? Bonus: Can you name them all. This is a fun warm-up activity you can do. Bring a small prize for the most observant person and then suggest that they might want to consider being a police officer. This activity can work for just about any level including elementary or kindergarten students, except for the true beginner who knows almost no vocabulary. Love these Memory Games for Students? Be sure to sign-up for my email list, where you’ll get some free ESL teaching awesome delivered straight to your inbox each week. Games, activities, lesson plans, and more. I will respect your privacy and I promise to never share your email with anyone for any reason. 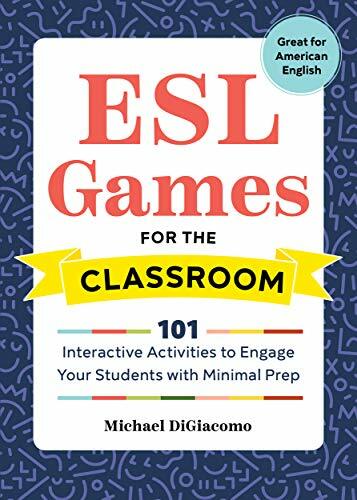 Have your Say about these ESL Matching Games! What do you think about fun memory games for adults? 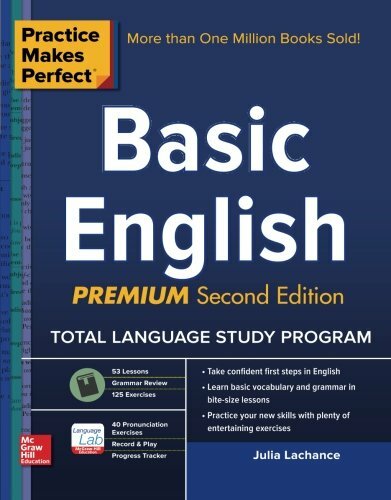 Do they help English learners practice vocabulary, grammar, etc.? Do you plan some of these games in your English classroom? Or, do you have some additional resources that you’d like to recommend to teachers? Leave a comment below and let us know. And also be sure to contact us if you have any questions about teaching English. Also be sure to give this article a share on Facebook, Twitter, or Pinterest. It’ll help other teachers, like yourself find this useful resource for teaching English vocabulary. 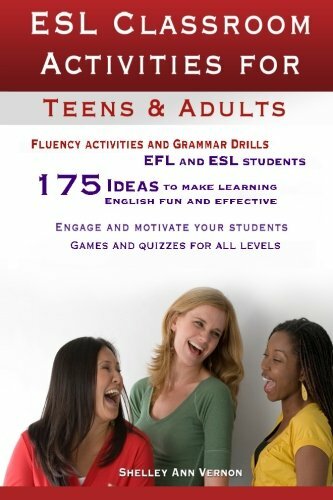 Need More Ideas for ESL Games for Adults? Sure, what English teacher doesn’t, right? 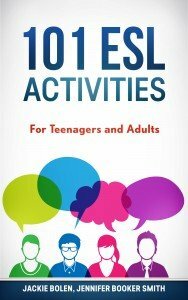 Then the book you’ll need is 101 ESL Activities for Teenager and Adults. 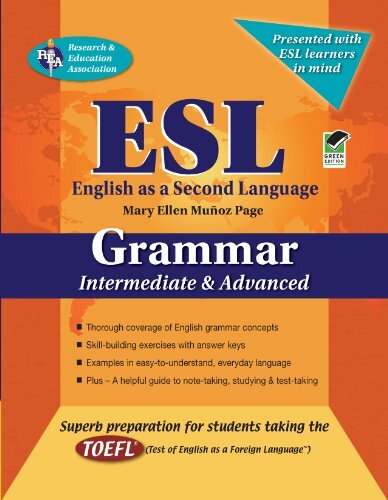 You’ll have dozens of top-quality ESL games and activities at your fingertips. It includes brain games, icebreakers + warm-ups, vocabulary and grammar activities, plus things for reading, writing, listening and speaking. It’s lesson planning made easy, guaranteed. The good news is that the book is available in both digital and print formats. Keep a copy on the bookshelf in your office as a handy reference guide. Or, take a copy with you on your phone on tablet for planning lessons in your favourite coffee shop. I sometimes combine Tag Stories with Disappearing Text: I have my pupils create a story, each one writing one sentence until the story is (somehow) complete. This is the standard Tag Story. Along the way, I ask how to improve (rather than ‘correct’) sentences when there are spelling, grammar or punctuation mistakes. Then I have the pupils read the story, making sure that they do not read their own sentences. i might have it read through two times. Then i start erasing parts of the text, having the pupils ‘read ‘ the text, adding the removed words. I do this until most or all of the text is gone. 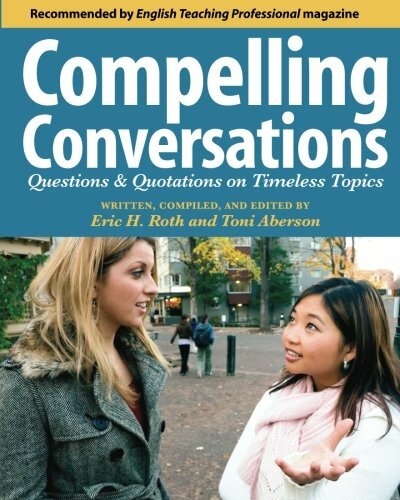 I have had a class recreate an entire text the next time I saw them, a number of days later! I have even had kids refer to zany tag stories six months later. I think this is so successful because it is the kids’ own creation, it involves repetition, and it has an element involvement and competition. Sounds like a very interesting activity! 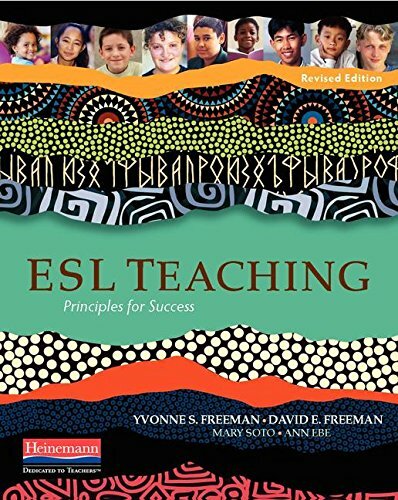 ESL Activities is a participant in the Amazon Services LLC Associates Program, an affiliate advertising program designed to provide a means for sites to earn advertising fees by advertising and linking to Amazon.com.